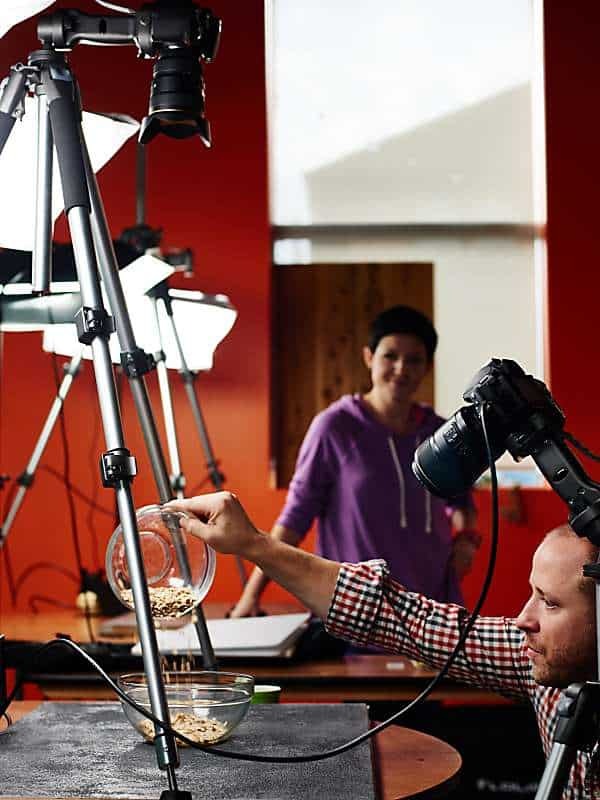 Learn how to setup, shoot, and edit overhead fast-paced videos with our workshops. I’ve had some experience doing video on my own, but taking this class has left me both inspired and equipped with the tools to take my videos to the next level! I highly recommend this workshop! It’s basically the most useful event I’ve attended, EVER! This was the best investment I’ve made for my blog in years! I had a great time, learned more than I imagined and left feeling really excited to get started at home! Seriously, even after doing video for over a year, I learned so much and I am really excited about how much better my videos should be now. It was fantastic and worth every penny, I learned more than I have at any other workshop or blogger conference. The workshop was pretty amazing. I really appreciate the attention to detail, patience and knowledge shared. The workshop is amazing, worth every penny. Absolutely LOVED the workshop and I can’t wait to get started. I seriously feel like I learned more in the past 48 hours than I have total at eight conferences this year. 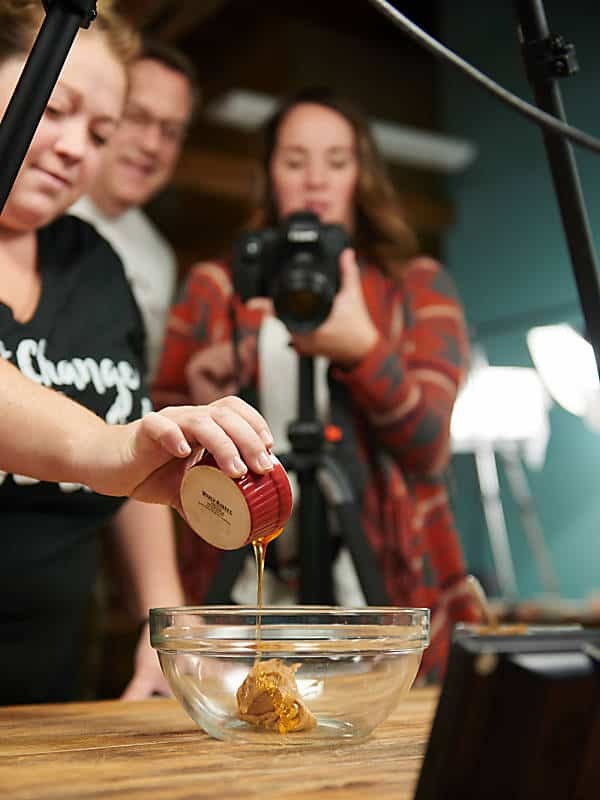 If you’ve wanted to make food videos or want to take your food videos to the next level, this workshop experience is worth every penny. Wow, I can’t believe all that I learned in just 48 hours. As someone who does a lot of research I can be skeptical when it comes to courses and workshops since a lot of things can be learned online for free. This workshop (and our membership to The Blog Village) has been worth every penny! 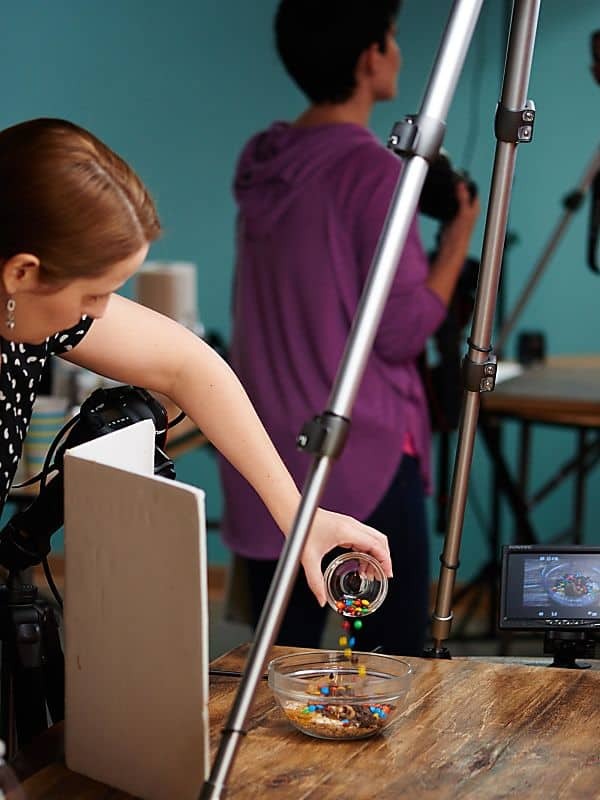 The Show Me the Yummy Food Video Workshop is an intensive workshop (available hands-on AND digitally) that teaches you everything you need to know to start creating high quality “Tasty” style videos. We take all of the fear and unknown out of creating videos and make it approachable and accessible for anyone. 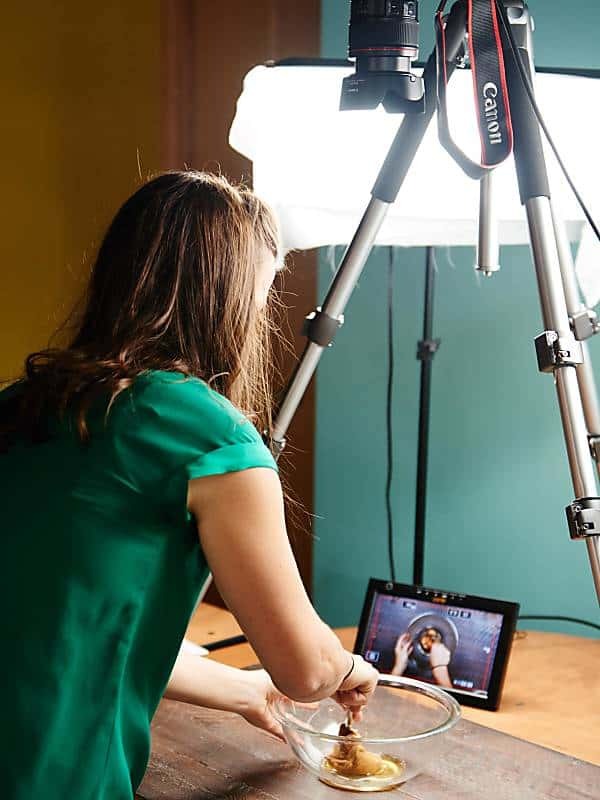 Whether you’re just starting out with video or you want to take your videos to the next level, you’ll find everything you’re looking for through a combination of demonstration, hands-on filming and interactive Q&A. At the end of the workshop, you will have setup, shot, edited and outputted your very own professional quality video. Two full days (16 hours) of instruction and hands-on practice in a small, intimate group (limited to 10 students). Enough time to thoroughly learn each topic and get the individual attention for your current experience level. 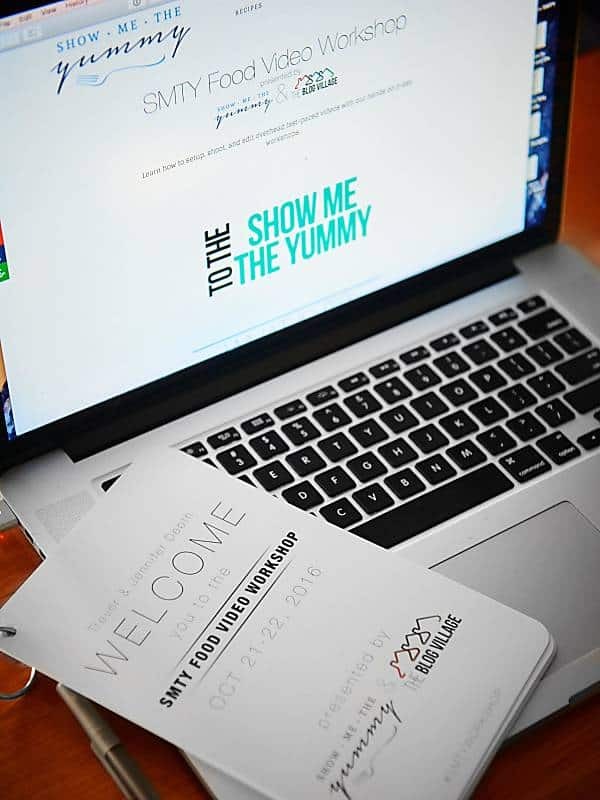 We’re very excited to now offer the Show Me the Yummy Food Video Workshop in digital form! If you can’t attend our workshops or are looking for a lower price point, you now have the best option available online. Everything we cover in the hands-on workshops and more is covered in our digital workshop. Lifetime access to the entire course, regular updates, a private forum and Facebook group mean that you will always have instant access to everything you need to know, get feedback on your videos, get your questions answered plus the mentorship you need as you start creating. Both Adobe Premiere Pro AND Final Cut Pro are covered in detail giving you the ability to learn top-notch editing with whichever application you prefer. The Digital Workshop also includes demo footage, demo recipes/shot lists, plus our printable shooting video handbook with tips, tricks, shortcuts and more. 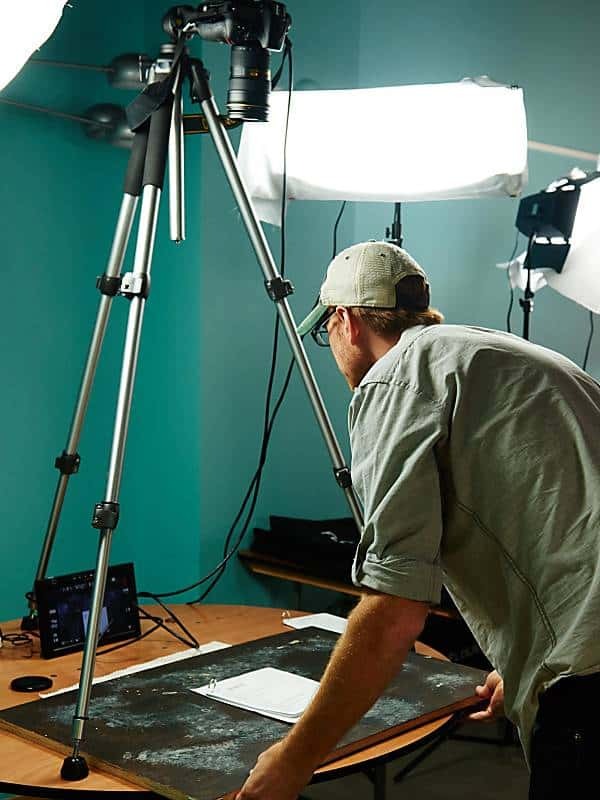 If you’re attending a hands-on workshops, we’ll provide you with the tools you need: work spaces, cameras, lenses, lighting, props, and more. All you need is yourself and your laptop! We suggest bringing your own DSLR to learn with, but it’s not necessary. We also cover all of our recommended equipment in our digital course. We cover a lot, but it doesn’t end there. With both our hands-on and digital workshops, you will also get a one year Pro membership to The Blog Village valued at $299. The Blog Village Pro membership adds amazing tools, training on many other subjects and more, giving you an unrivaled value. Any questions that come up as you start shooting videos back home, feedback you need on your first videos and other help and mentoring will continue even after you’ve left, by us personally! How to market your newly acquired skill, what to charge and how to incorporate brands into your videos. You gotta eat right?!? Your breakfast, snacks and lunch will be provided both days of the workshop! Learning to create videos is one of the best investments you can make to increase your value to brands. Because of video, we’re able to charge over 50% more for each sponsored opportunity and 70% of brands take us up on it. Videos alone, can command $1000 or more ADDITIONAL income on a sponsored post. Our goal is that with one or two sponsored videos, you will more than pay for the cost of the workshop. There are very few bloggers doing video, and even fewer doing them really well. Get ahead of everyone else and stand out to your readers and brands by producing the best videos out there. Every social network is putting a priority on video, which means more exposure, more followers and more engagement. Video alone has helped us to rapidly grow our social following. We ensure you know how to set your camera up to get the best quality video possible. Getting everything set up and ready to shoot. 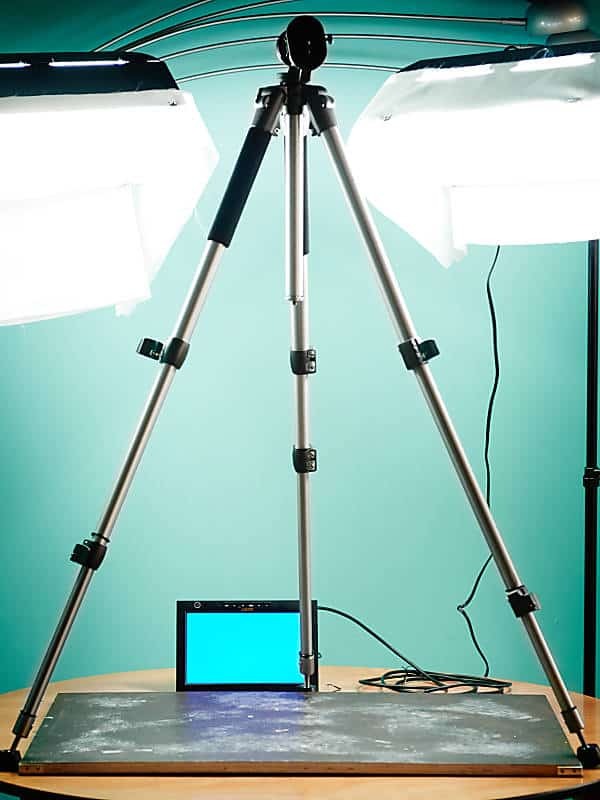 Working with tripods of all kinds, arm extensions, external monitors, etc. We show you all of the possibilities and you decide what the best setup for you is. One of the most important elements of shooting video is the lighting. We walk through how to light both naturally as well as with artificial light. Here we look at: how to organize your shoot, action techniques, transitions, shooting for the edit, multi-angle shooting, our tips and tricks and getting creative. Where the magic happens. Editing is probably the most important part of the entire filming process. We will go from rough cut to refining your edits, manipulating the speed of footage, creating smooth transitions, adding text, masking and more. 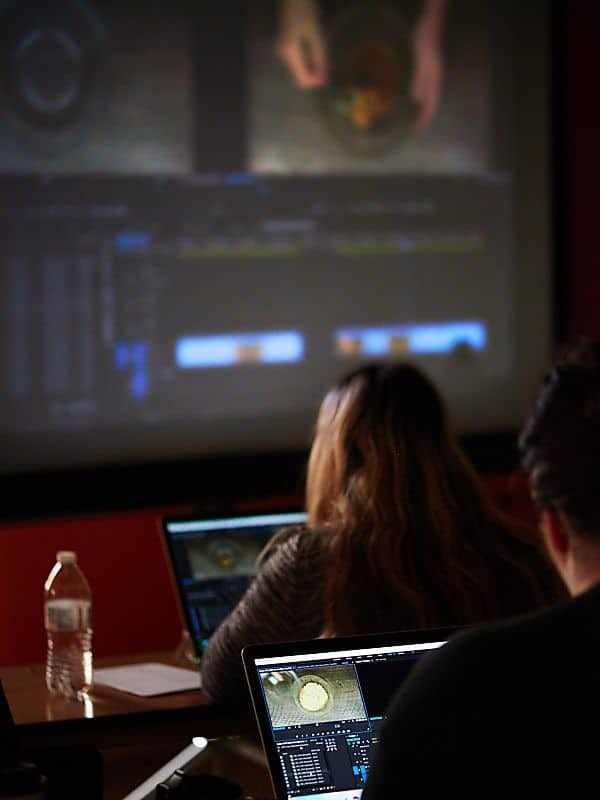 In the hands-on workshop, you will learn editing using Adobe Premiere. It’s our recommended software and it’s cross-platform so we can all be looking at the same thing 🙂 If that’s not what you plan to edit with, don’t worry, everything you learn will easily translate to Final Cut Pro and the digital workshop covers Final Cut Pro in entirety. Editing is like driving a car. Once you know how to do it, it doesn’t matter what kind of car you’re in (Adobe Premiere/Final Cut Pro) you just need to take a moment to find the lights, turn signal, cruise control and you can drive anything. PLUS the majority of keyboard shortcuts are the same across both! Flying in? Madison is an extremely easy airport to fly in and out of. We recommend arriving the night before and departing the final day or day after. We send out hotel recommendations once you sign up. We are also doing at least one destination workshop in 2017 in Salt Lake City, UT. Pretty much anyone looking to learn about video, increase audience engagement, grow their social following, and earn more from brand work! No prior experience necessary! Trevor is an award winning editor and cinematographer with over 20 years of video and film experience. He knows the ins and outs of creating professional videos that keep people engaged and wanting more. Together we have nearly 100 food videos under our belts, we can help to address common mistakes, what works, what doesn’t and help you be successful at a rapid pace. You can find all of our videos on the Show Me The Yummy Videos Page. We’re happy to answer any questions you may have, contact us here!